I promise this is the last bit of Christmas I have for you all! The decorations were all put away this weekend, and we are already missing the magic of it all. Liam keeps asking for the lights & the trees...poor guy! This blog serves as a baby book for Liam, so I try to make sure and capture every event in these early stages of his life, whether they be big or small. Thanks for tagging along on our adventures! We decided to come back from vacation one day early so that we could celebrate Christmas as a family of three in our own home. Our neighbors kept our tree alive during the two weeks were gone, and although it was January 3rd when we walked in the door, it still felt like Christmas. We were home. HOME. I can't believe I'm calling Utah home, ugh. We've been for a year now, so I guess I should we getting used to the idea. That night, we tucked Liam into bed and filled his stocking all while still listening to Christmas music. I made a late night trip to the grocery store, so we could have a pancake feast in the morning! 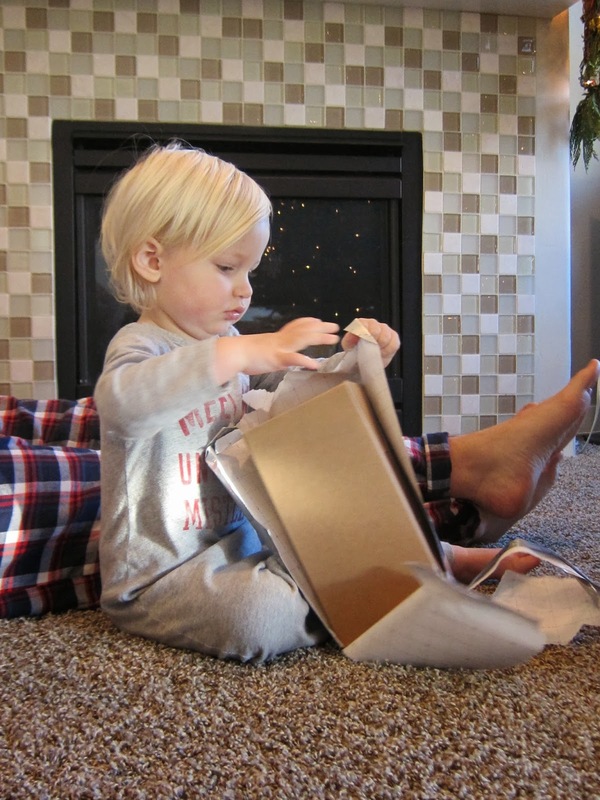 We woke up to snuggles with Liam and then a squeal of delight when he saw all the presents under the tree! Since we were onto our 3rd and final Christmas, he knew exactly what to do at this point. He loved unwrapping all the gifts, ever so slowly... being delicate with each and every piece. He took his sweet little time, which helped Conor & I to savor the moment as well. Typically, he more excited about simply opening a gift and could care less what was hidden beneath the paper. He also loved "playing Santa" and handing out presents. As he gets older, I want to emphasize the importance of giving during this season and what Christmas is truly about! I spent the morning all smiles and soaking up each moment. I barely took any pictures, but instead focused on every one of Liam's excited expressions. Having Conor off work for two whole weeks was incredible, and I enjoyed every moment we all spent together. It was an amazing holiday season, and I'm already looking forward to next year! Now it's time to bust out the candy hearts and add a little bit of pink to our lives! Valentine's day is just a month away! I love extending Christmas! And that work bench is adorable! 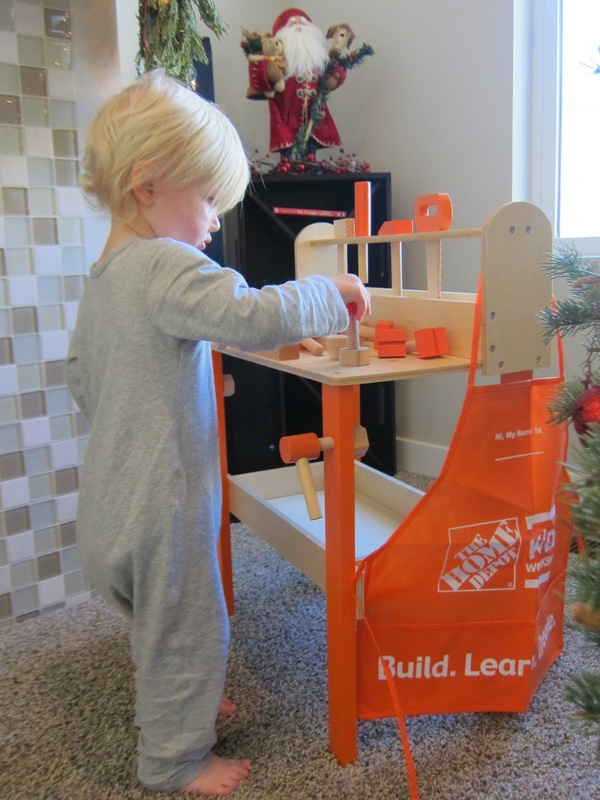 Love The Home Depot work bench! !